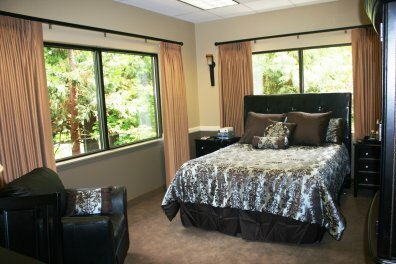 Willamette Sleep Center is a comprehensive, state-of-the-art sleep disorders clinic and laboratory. It offers fast, accurate diagnoses and treatment of all sleep problems. 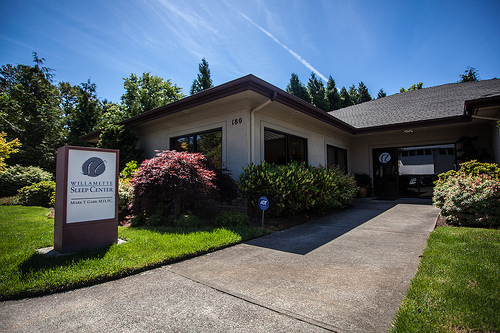 Led by Dr. Mark Gabr, Willamette Sleep Center provides complete personalized, individual attention to all patients --- all done in one place at either of our two convienient locations. Call us today for a restful night's sleep! It is estimated that over 100 million people worldwide suffer some Obstructive Sleep Apnea. In the United States, OSA is estimated to affect 1 in 4 men and 1 in 9 women --- over 23 million working adults. Millions more suffer from other sleep disorders including Insomnia, Narcolepsy, Restless Legs Syndrome, Periodic Limb Movement Disorder, Rapid Eye Movement (REM) Behavior Disorder, as well as Circadian Rhythm Disorders. At Willamette Sleep Center, we understand how sleep problems can disrupt your life. We have the facilities and the expertise to help diagnose and treat the most common - and even uncommon - sleep disorders. You have found the help that you need; You can rest easy now. Contact us and see how one of our two locations can best serve you. Read the statements below carefully. Answer 'True' or 'False' for each one. If you answer 'True' to two or more statements, you should contact us directly or contact your primary physician and request a referral. This will begin the process where you can once again enjoy a good night's sleep. Why 'Willamette Sleep Center' ? Medical Director Dr. Gabr is Board Certified in Sleep Medicine, Neurology, and Clinical Neurophysiology. Sleep Physician has more than 25 years in evaluating Patients and interpreting Sleep Studies. Registered & Licensed Sleep Technologists with years of experience in Conducting and Scoring Sleep Studies. Salem Center is Fully Accredited for both In-Lab as well as Home Sleep Testing. State-of-the-Art Facilities that provide a Private, Comfortable, and Secure Environment. Comprehensive, Individualized Care that assures effective Patient Treatment and Satisfaction. Clinical Evaluation, Sleep Studies, DME/CPAP Supplies, and Close Follow-up all done in One Place.